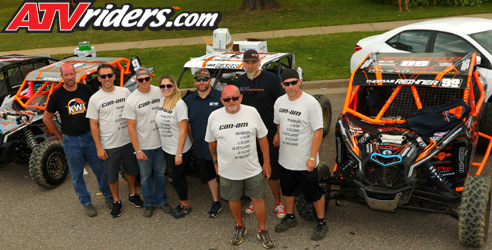 Connellsville, PA (9/10/2018) - BAK40 Motorsports, with drivers Tim Farr, Eric Gordon, and Thomas Reihner, put on a successful show to end the Midwest short course racing season at Crandon International Off-Road Raceway. Farr led the team with two runner-up finishes. 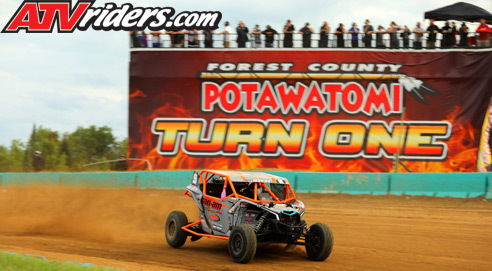 The event comprised two races: The season finale for the Lucas Oil Midwest Short Course League and the Crandon Cup. 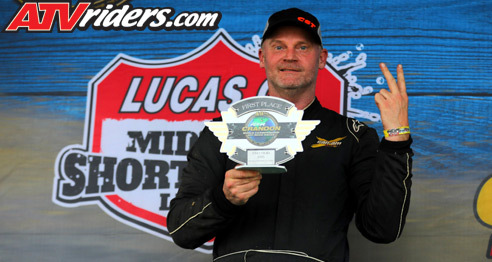 Running in the Pro Modified SXS class in a Can-Am Maverick X3, Farr nabbed second at the start of the LOMSCL finale and then cruised home to earn the second spot of an all-Can-Am podium. The finish placed Farr third in the championship. Farr joined the expanding team this season and had several good races, but mechanical gremlins definitely took their toll. Overall, though, he said the team came together well. 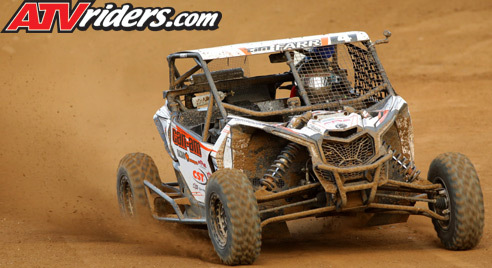 Farr then competed in the Pro Modified SXS class in the Third Annual Crandon Cup. After a hiccup at the start, Farr quickly picked his way through the field, avoided the carnage, and finished second. Among the changes to Farr’s program this season was the move to CST tires. Farr ran the Dingo and Lobo tires and will continue to develop the tires next season. George White from Double-E Racing built and setup the shocks for the team this season. Farr was happy to have not just White build his suspension, but also help with setup at every race. Overall Farr was happy with his first year at BAK40. Adversity has definitely gelled the team. Though Gordon had mechanical issues during the weekend, he still had fun. Expanding the team and bringing on Farr was a huge step for BAK40 and he’s glad he took the risk. Reihner also had his share of mechanical issues, but was proud of the way the team performed this season. He said Farr helped both Gordon and himself become better drivers. BAK40 will return to action in next year’s Midwest Short Course League.